The world outside rushes past, a blaze of colours and scenery. The road stretches out ahead, mile after mile of black tar with no end in sight, and no idea about all of it possible destinations. Greenery rolls past, hills and fields and trees stretching out into the horizon. Soon it could change to towering skyscrapers and crowds of pedestrians, or majestic mountain peaks, or the sparkling turquoise waters at the coast. Endless possibilities are out there, as the road, and the car, goes on and on. Heading towards somewhere, someplace, someone…? Or nowhere and nothing at all? Rain lashes against the windows, the wipers frantically battling against it, while the tyres splash happy through large pools of water. It’s rhythmical, patterned, constant. The hills drop away, flattening into vast open plains, beyond which, the sea shimmers in the distance, barely discernible through the thick clouds and heavy rain. Inside the car, it is warm and dry, a cocoon from the outside world, trundling on its way through it. A bubble of isolation, and life is placed on pause, while there is nothing but the road. Hours could have passed, or merely minutes. Time loses meaning while the journey continues. The rain clears as the sun breaks through the clouds, beacons of bright light scattered across the land. It dips down into the horizon straight ahead, both blinding and breathtaking, sinking down to sleep for the night. 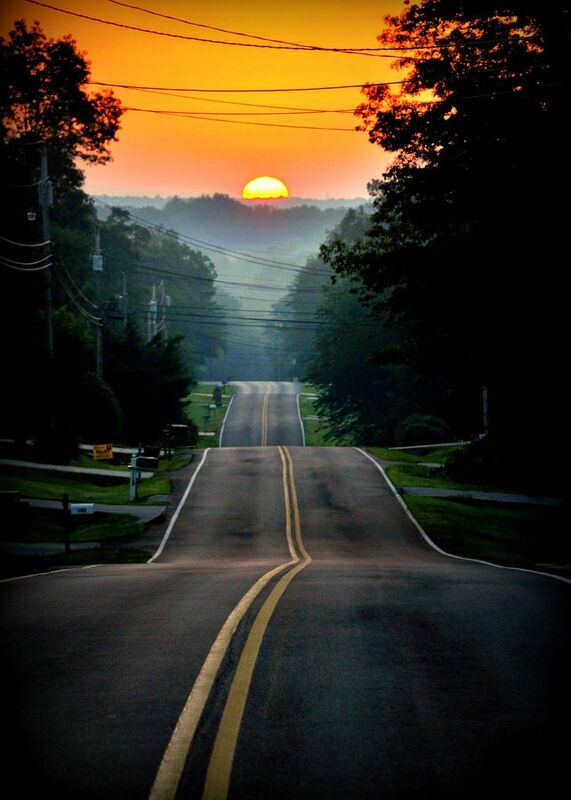 Driving on, into the sunset, wondering what lies beyond it. The road never ends, stretching all across the country, providing access to all. Across the plains, down into the valleys, spiralling up mountainsides, connecting city to city. Nothing is undiscovered anymore; nothing unknown. But the road still means adventure. It means travel, exploration, freedom. The road can take us anywhere and everywhere. Everything has been seen before, but not through your eyes. People, life, the world, they’re always changing. Time rolls on faster than any car can keep up with. There’s always something new out there. Just keep following the road until you find it. For more ‘Musings’ posts, click here.